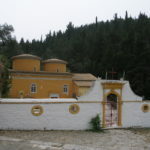 The Venetians that ruled the Ionian Islands for over 4 centuries (from 1386 to 1797) initiated the growing of olive trees in Paxos, as olive oil was at the time a commodity in great demand and one that allowed for large profits through trade, taxation and the use in industrial production. 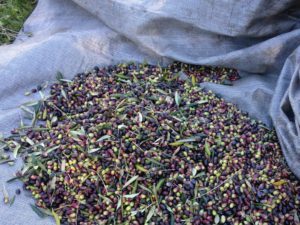 In order to promote the intensive culture of the olive in the territories they occupied in Greece, the Venetians adopted a privilege-granting policy towards the growers, along with penalties and counter-incentives for non-compliance. 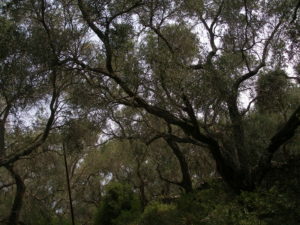 They, thus, established an olive monoculture in Paxos. 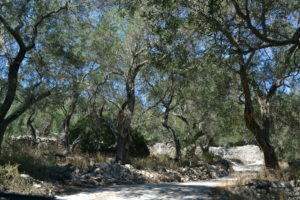 Olive trees usually bear fruit every other year, depending on the climatic conditions and other factors. 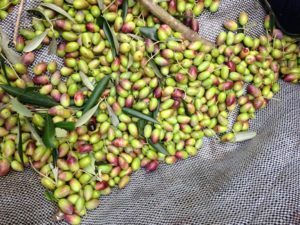 The harvesting period in Paxos extends from November to early spring, though, usually, the earlier olives are picked, the better the quality. The gathering of olives is done in 3 ways: i/ by beating the branches with long sticks (hand or power-driven) and shaking off the fruit; ii/ by picking them by hand or with a comb from the branches (using a ladder for the taller branches); or, iii/ by gathering the ripe olives that have fallen to the ground on the permanent nets spread out for that purpose throughout the harvesting period (a common practice in Paxos). 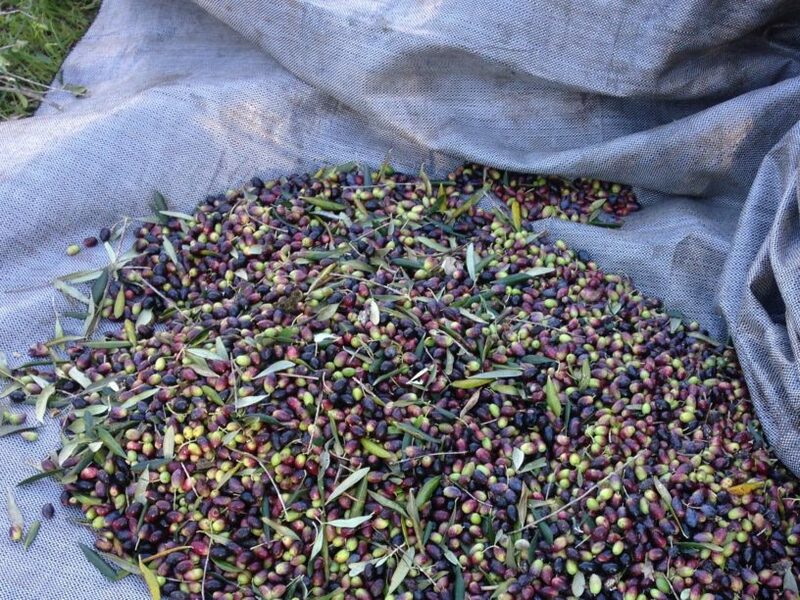 Once the olives have been harvested, those destined for oil production are taken to the oil-press. 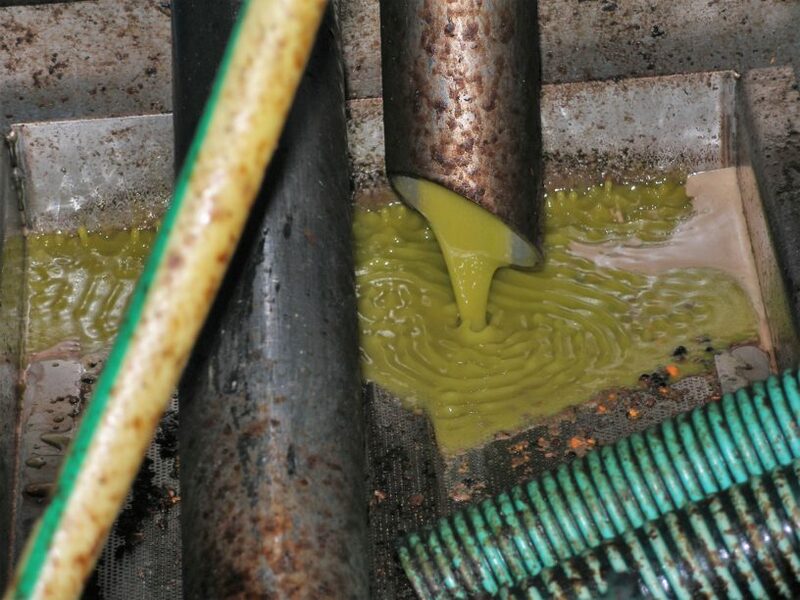 “There are three main steps to turn olives into olive oil: the crushing of the fruit, the extraction of oil from the olive paste and the separation of liquid oil from the vegetation water and the solid matter (…) During the extraction, we have first the ‘cold pressing’, during which the best quality oil is produced, and then the ‘warm pressing’, in which the hot water being poured over the olive paste increases the quantity of the extruded product” (extract from the book “Museum of the Olive and Greek Olive Oil. A Guide”, 2007, p. 42). The quality of olive oil produced varies, depending on its acidity and aromas. The best quality is destined for household consumption, whilst that of inferior quality is destined for industrial purposes. 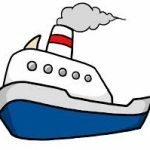 Oil extraction technology has gradually developed from the animal-powered single millstone oil-mill and the wooden presses –still around until the 1920s in the rural areas- to the fully mechanized and more sophisticated diesel-engined oil-mills and the centrifuges. 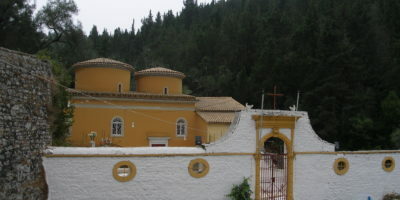 Olive oil gradually became a strategic commodity in Paxos (as in all of the Ionian Islands) that contributed to the welfare of the population. 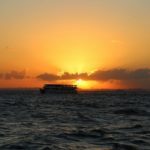 The oil was considered, until the middle of the 20th century, as a bartering medium that could be exchanged for other goods and services. 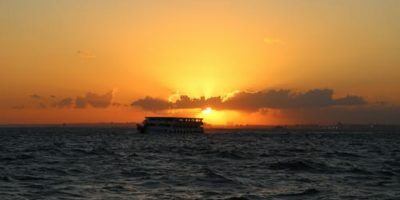 However, a poor harvest or the absence of a harvest every other year could also result, in the past days, into severe poverty and hardship. 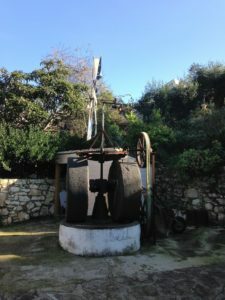 At the peak of production, in the early 19th century, there were 156 oil-mills operating in Paxos; by 1926 their number had fallen to 59. At present, there remain only a few fully functional oil-mills, of which barely 3-4 operate on a regular basis. 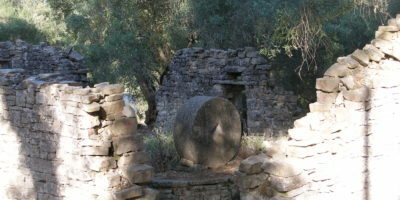 Owing to the growing importance of the tourist industry and the low yield of olive trees (the cultivation and the picking of olives is still done in the traditional and rather obsolete way), the local population has moved away from oil production into more lucrative activities. As a result, oil production in Paxos has diminished considerably over the last 50 years. 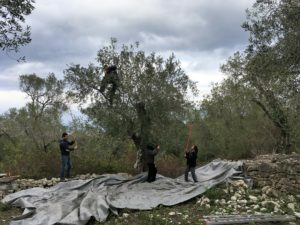 Yet, the olive tree and its products remain an important aspect of the history, the civilization, the landscape and the everyday lives of the local people. 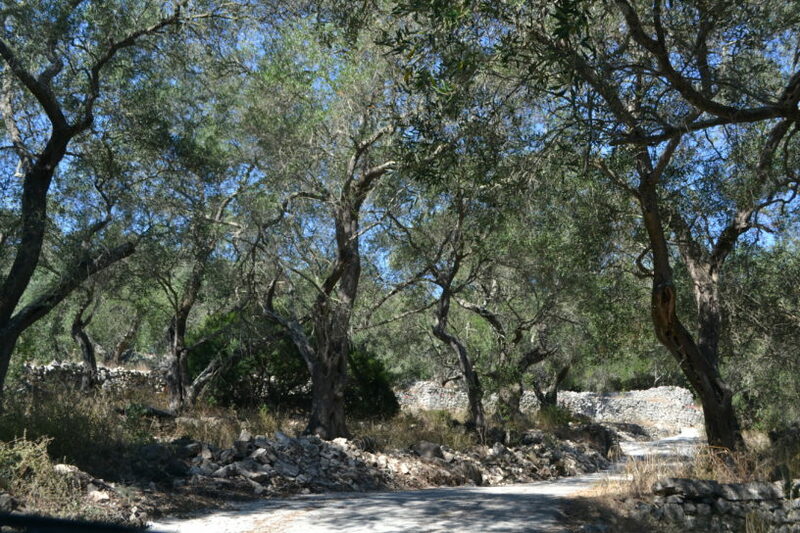 The island is covered by no less than 200,000 olive trees that silently await their redemption. 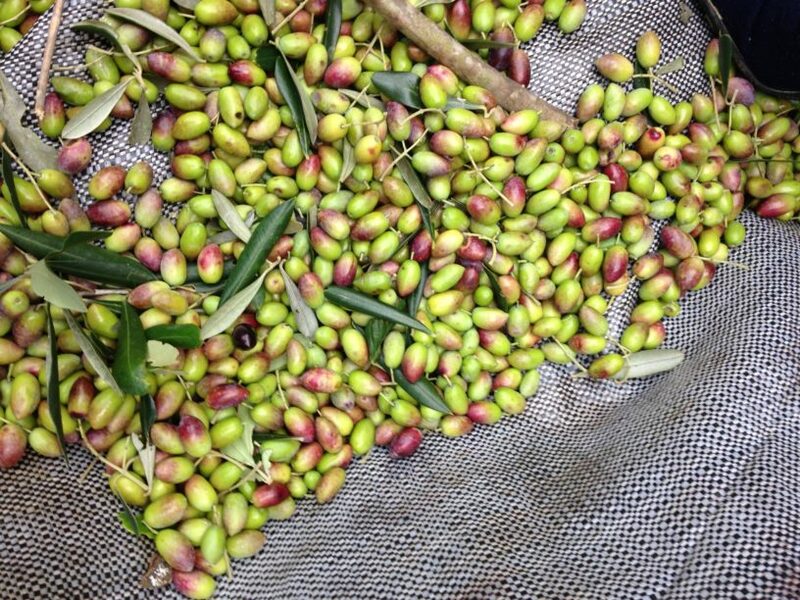 The olive tree can be fully exploited from the wood and the leaves to the fruit and its by-products. 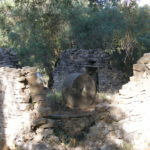 Olive oil, in particular, is used in a broad range of daily activities such as cooking (a basic ingredient of the Mediterranean diet), fuel, cosmetics, medicine and religious rituals, whilst the residue is used in soap-making. 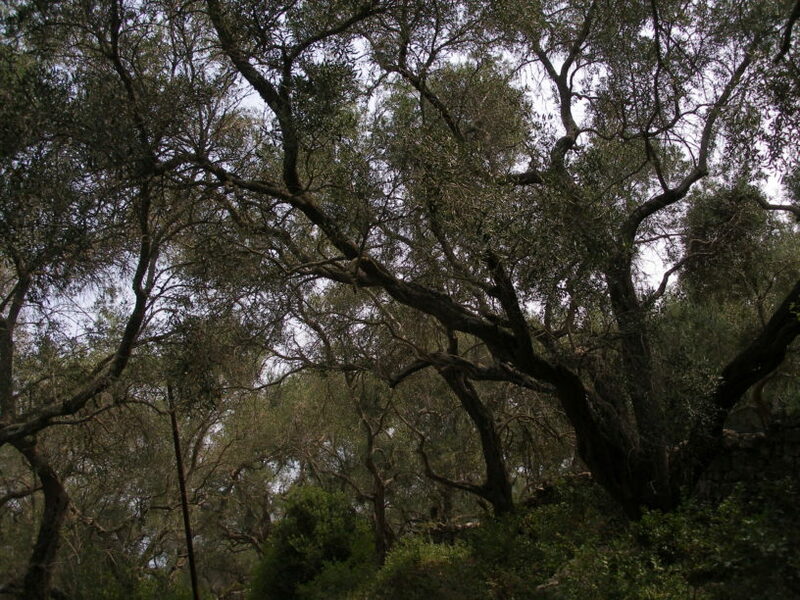 It is only a question of time (or even of dire necessity) that the cultivation of the olive tree resumes its fundamental importance in the local economy of the Ionian Islands and Paxos in particular.